This new study, Haber et al. seems to say some things about West Asian genetic history via Armenians. It posits the idea that a good part of the pre-Islamic Near East would have perhaps been more similar to Early European Farmers than many modern Near Easterners who are Muslim are. The idea that modern Armenians who have to their eyes been a genetic isolate in West Asia for about ~3000 years since the Bronze Age, share a certain segment of their ancient ancestry with Early European Farmers (practically ~30%) however I should note that tree-mixes shouldn't be taken too incredibly seriously in that they don't concretely tell you that this population experienced gene flow from that population. Now, Stuttgart is just like Iceman; an Early European Farmer which would essentially be a Neolithic West Asian with a sizable amount of Western European Hunter-Gatherer (WHG) input. It's of course completely preposterous that Stuttgart or people exactly like him contributed ancestry to Somalis & Ethiopian Jews (Beta Israel) who for the time being don't look to have any Western European Hunter-Gatherer input (which makes sense) but rather for now more or less just Early Neolithic Farmer ancestry which is what Stuttgart and Iceman would look like if they were bereft of their WHG admixture. 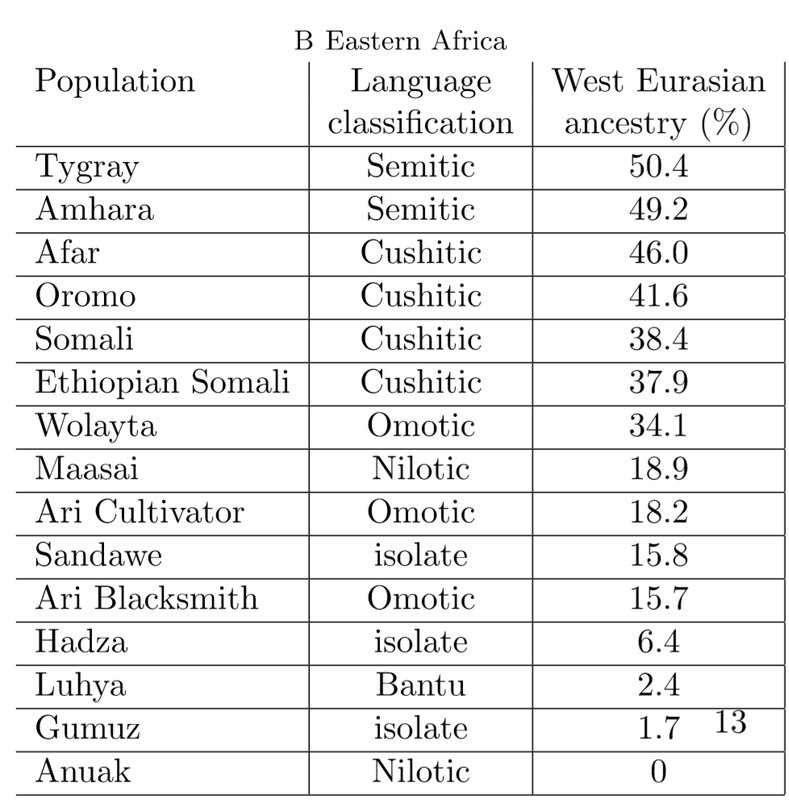 The tree-mix is more or less just picking up on ancestry in Somalis & Ethiopian Jews and likely even Armenians that is at least similar to the majority of the ancestry you would find in an Early European Farmer. Since all of these populations via Eurogenes' analysis (which actually gets very very similar levels to what we're finding in peer-reviewed studies if we're talking levels of Ancient North Eurasian & Western European Hunter-Gatherer ancestry as well as being close to Lazaridis' estimates for how WHG admixed individuals like Stuttgart likely were) come up with a very sizable segment of West Asian ancestral input similar to the majority of what's in Early European Farmers like Iceman & Stuttgart. 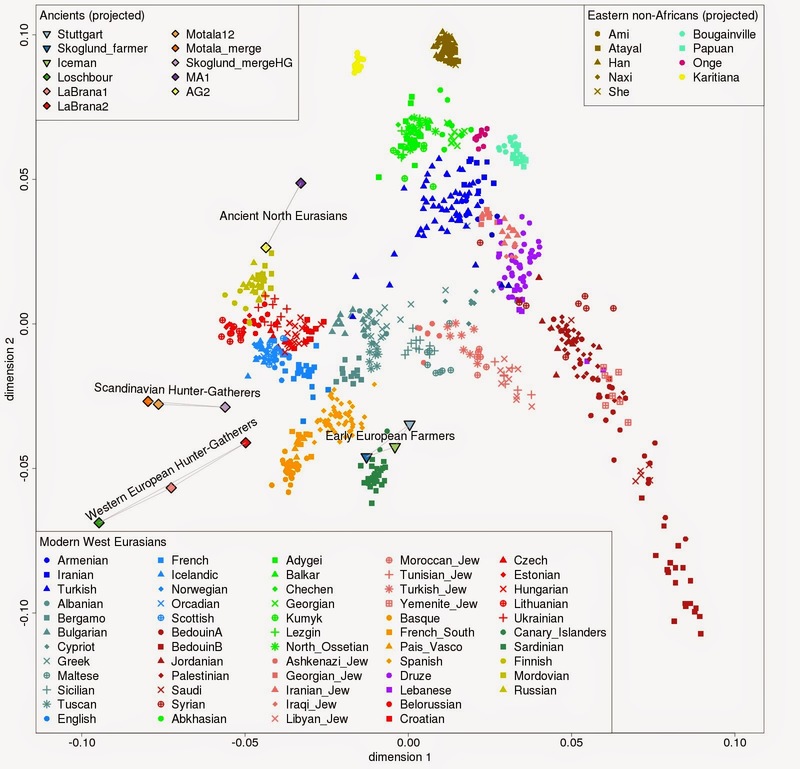 West Asian = Early Neolithic Farmer/ Near Eastern in Eurogenes K=8. The levels of West Asian ("Eurasian" or "West Eurasian") admixture for Somalis are essentially not different from what you'd find in Gudrasani et al. or Pickrell et al. I personally think they should have focused more on using ancient genomes like MA-1/ Mal'ta boy who for now represents Ancient North Eurasian (ANE) best; as you can see there's actually a certain decent segment of ANE admixture in Armenians and in fact the majority of their Caucasian neighbors as well as Iranians (i.e. Persians & Kurds) & Turks. I even spoke about this in some other length in a former post. 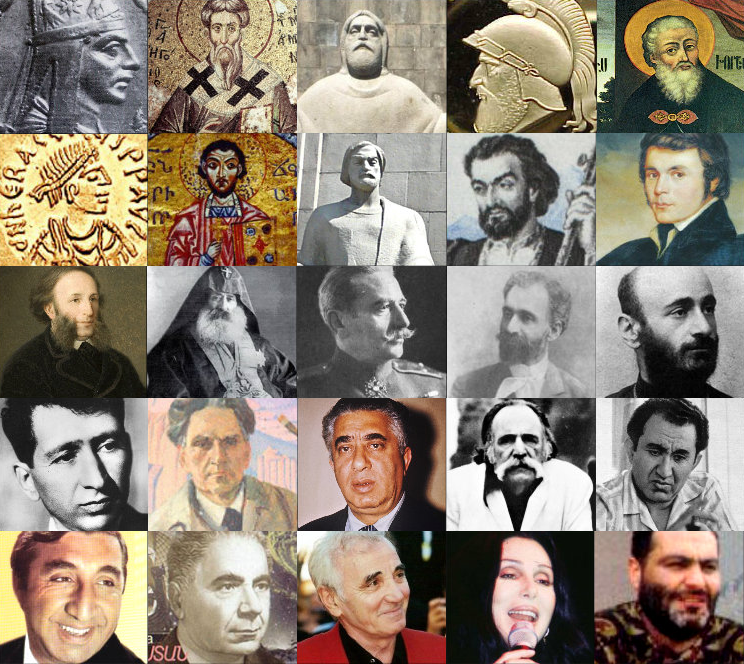 If non-native West Asian input in Armenians is to be properly investigated; then a good amount of focus should be placed on Ancient North Eurasian however Armenians are not exactly like some of the various populations above. "The Armenians are a culturally isolated population who historically inhabited a region in the Near East bounded by the Mediterranean and Black seas and the Caucasus, but remain underrepresented in genetic studies and have a complex history including a major geographic displacement during World War One. Here, we analyse genome-wide variation in 173 Armenians and compare them to 78 other worldwide populations. We find that Armenians form a distinctive cluster linking the Near East, Europe, and the Caucasus. We show that Armenian diversity can be explained by several mixtures of Eurasian populations that occurred between ~3,000 and ~2,000 BCE, a period characterized by major population migrations after the domestication of the horse, appearance of chariots, and the rise of advanced civilizations in the Near East. However, genetic signals of population mixture cease after ~1,200 BCE when Bronze Age civilizations in the Eastern Mediterranean world suddenly and violently collapsed. Armenians have since remained isolated and genetic structure within the population developed ~500 years ago when Armenia was divided between the Ottomans and the Safavid Empire in Iran. Finally, we show that Armenians have higher genetic affinity to Neolithic Europeans than other present-day Near Easterners, and that 29% of the Armenian ancestry may originate from an ancestral population best represented by Neolithic Europeans." 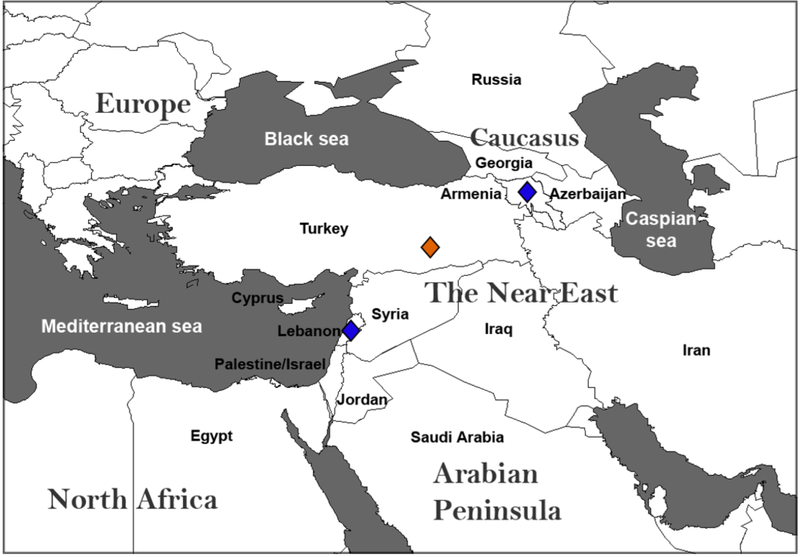 Armenians according to this paper much like some of the Christian and Jewish populations of West Asia (and Egypt) have to some great extent maintained the genetic structure of the pre-Islamic as well as pre-Arabization populations of West Asia. Obviously Caucasians never went through intense Arabization the way the ancestors of the Lebanese, Jordanians, Palestinians, Syrians & Egyptians did but they like them look to be a representation of the pre-Islamic and even pre-Turkic expansion West Asians in the area. Anatolians. Our results show that Turks are genetically shifted towards Central Asians, a pattern consistent with a history of mixture with populations from this region." Though I should note that this shift and this admixture is not at all very great. The overwhelming majority of the ancestry in modern day Turks is centered solidly in West Asia and Anatolia to my knowledge. At any rate the genetic structure of various West Asians being somewhat based on culture (religion, linguistics etc.) 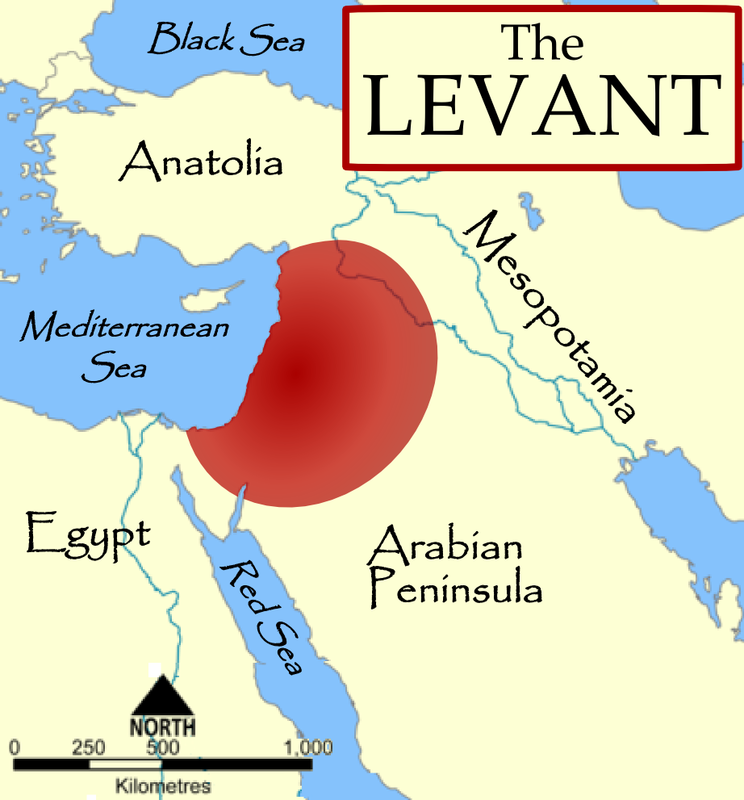 is not a new fact or idea, we've known about this for example in the case of the Levant for quite some time now, it was Marc Haber himself who even headed that Levant based study. However this isn't the first time that pre-Islamic, pre-Arabization or "pre-Turkization" isolates have shown an affinity for Early European Farmers. An affinity shared by various members of their clearly genetically supported ethno-religious group . "While our three-way mixture model fits the data for most European populations, two sets of populations are poor fits. First, Sicilians, Maltese, and Ashkenazi Jews have EEF (Early European Farmer) estimates beyond the 0-100% interval (SI13) and they cannot be jointly fit with other Europeans in the (SI12). These populations may have more Near Eastern ancestry than can be explained via EEF admixture (SI13), an inference that is also suggested by the fact that they fall in the gap between European and Near Eastern populations in the PCA of Fig. 1B. (figure above)." Cypriots as well share in this pull toward Italics and Greeks and a bit of a heightened Western European Hunter-Gatherer level. "Most shared ancestry with the Iceman is with Sardinians and other Europeans (Supplementary Figure S3). This is directly followed by shared ancestry with some Near Eastern populations: Cypriots, Sephardic Jews, Armenians, and Lebanese Christians. Other Near Easterners such as Turks, Syrians, and Palestinians show less shared ancestry with the Iceman." I can't help but think this might be due to some of the more divergent input in some of these populations such as Turks, Syrians and Palestinians? Levantine Muslims are often anything between ~5 to 15 African admixed  whilst Turks have a higher proportion of Ancient North Eurasian ancestry than Armenians, Lebanese Christians or Sephardim, then they top this off by having known East Eurasian (ENA/ Eastern Non-African/ East Asian) input via the Central Asian gene flow they've received. All of that likely differentiates Turks, Syrians & Palestinians even more given that they were affected by things such as the Arabian conquests and Arabization alongside the acquiring of more heightened African (mostly East African) admixture perhaps via the very same process (Syrians and Palestinians) or a linguistic shift to Turkic (Turks). This is ultimately why they find Armenians to be a better representation of ancient Anatolians (a region they were largely & tragically displaced from) in my humble opinion. To be honest this is not truly new data (the idea that isolates like Armenians or Lebanese Christians are representations of the more ancient populations in their area) but it ultimately has some intriguing things to say about Armenian genetic history and how Armenians according to their findings are the resulting of mixtures that occurred as early as the Bronze age, whilst I wish they'd looked more deeply into their Ancient North Eurasian input. 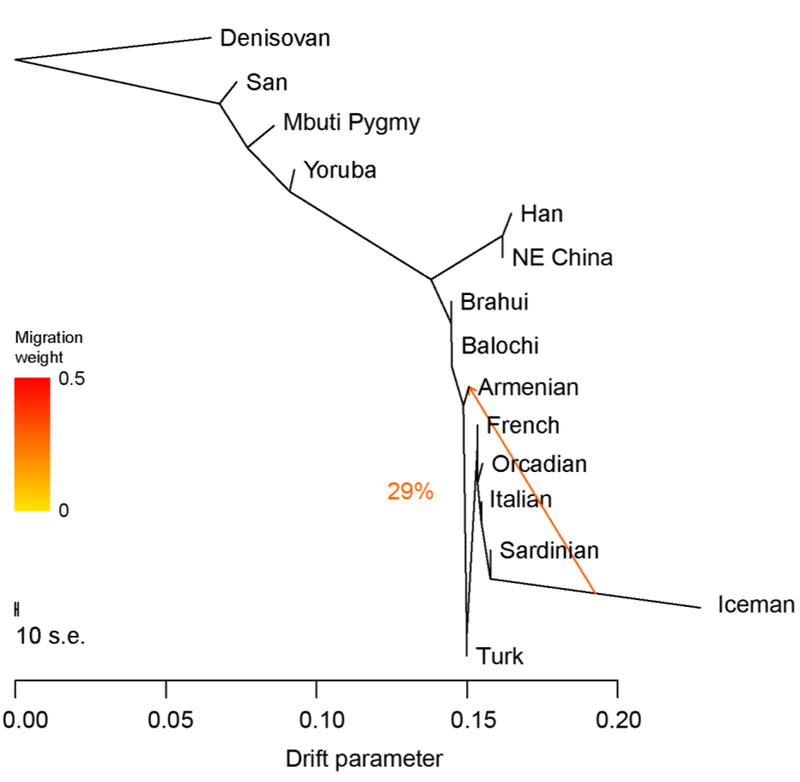 "We then ran TreeMix allowing it to infer only one migration event, and revealed gene flow from the Iceman to Armenians accounting for about 29% of their ancestry." 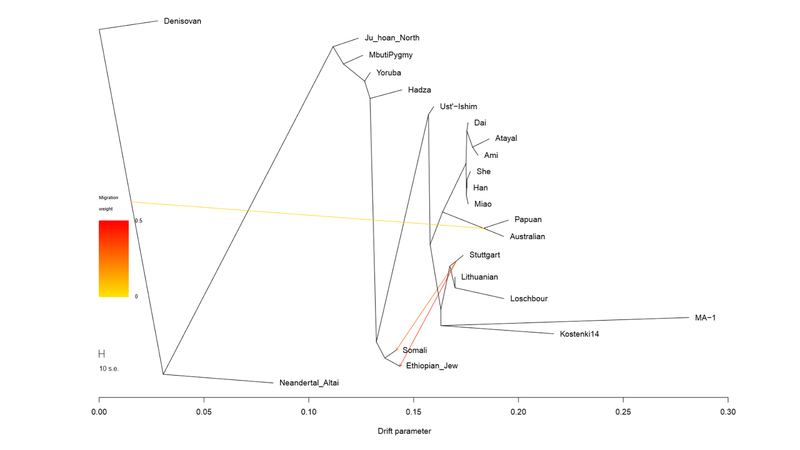 Again, this tree-mix test shows that Armenians have a certain sizable affinity for Early European Farmers which is to be expected if only ~40% West Asian admixed Somalis can show an affinity for one as well. But to me that's all the tree-mix shows-> an affinity and their finding that populations like Armenians are more similar to Early European Farmers than for example Turks are is more easily explained by what I said earlier. 1. Genetic evidence for an origin of the Armenians from Bronze Age mixing of multiple populations, Haber et al. 2. The African Genome Variation Project shapes medical genetics in Africa, Gurdasani et al. 3. Ancient west Eurasian ancestry in southern and eastern Africa, Pickrell et al. 4. 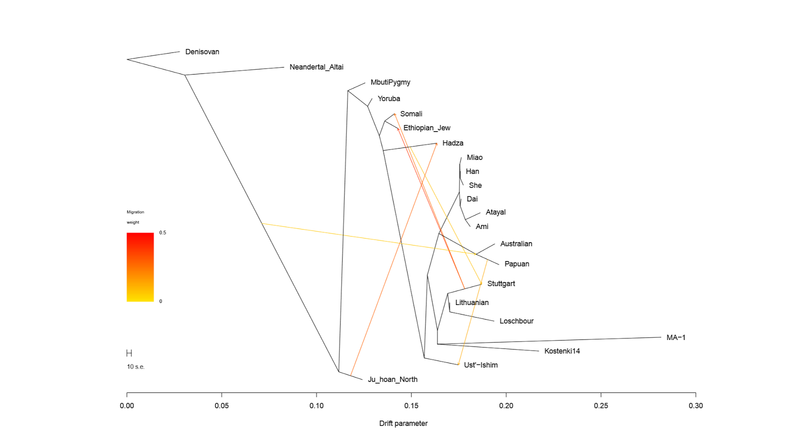 The genome-wide structure of the Jewish people, Behar et al. 5. 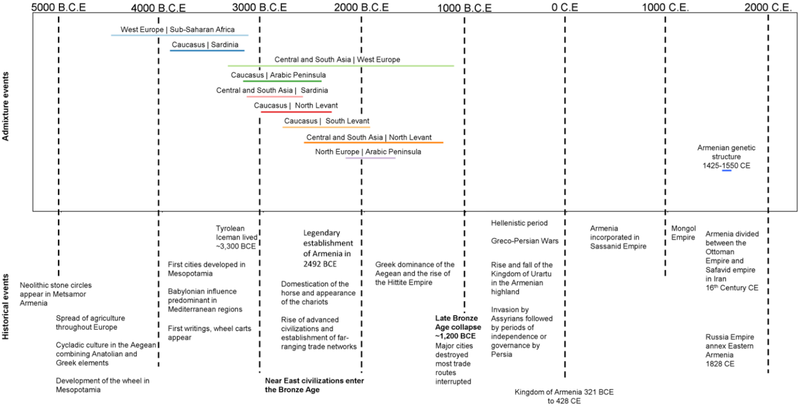 The History of African Gene Flow into Southern Europeans, Levantines, and Jews, Moorjani et al. 6. Genome-Wide Diversity in the Levant Reveals Recent Structuring by Culture, Haber et al. 7. Ancient human genomes suggest three ancestral populations for present-day Europeans, Lazaridis et al. 1. If you're wondering about the "migration" lines pointing from a Denisovan-esque source into Papuans and Australian Aborigines then you should know that such gene flow is quite legitimate and these East Eurasians are known to have such input: Denisova Admixture and the First Modern Human Dispersals into Southeast Asia and Oceania, Reich et al. 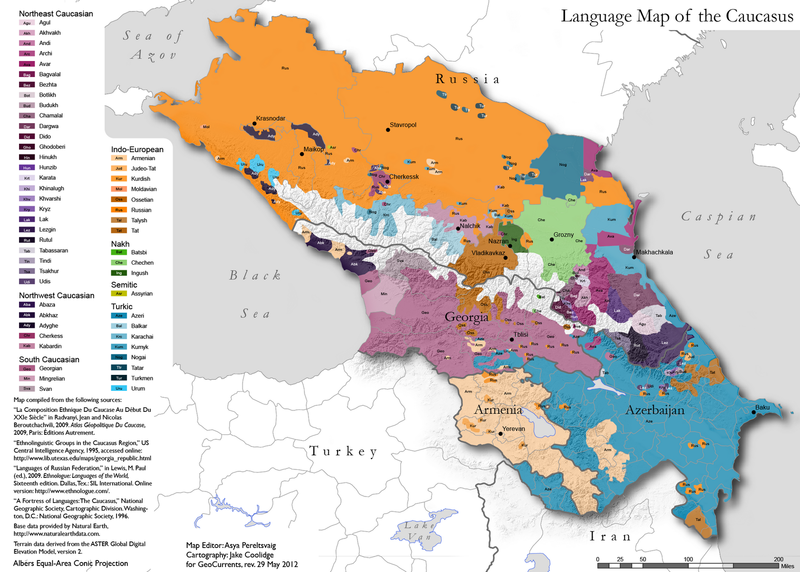 Armenians are basically a typical South caucasus and Anatolian population fairly close to their Georgian and Turkish neighbours. Only Turks differ by additional Central Asian admixture at variable degrees and it itself a mix of WEst Asian and East Asian ancestry meanwhile West Anatolia may Also be more influenced by the Aegean world in comparison ~ The Armenians speak an IndoEuropean language much Like Pré Turkic Anatolians spoke IE languages so they are a good reference to look at for now. basically if I understood much your article Anatolians/Armenians/Caucasians are basically Early Neolithic West Asian farmers mixed with ANE. "Armenians are basically a typical South caucasus and Anatolian population fairly close to their Georgian and Turkish neighbours." Indeed, they're interestingly very similar to Mesopotamian populations like Assyrians, Iraqi Jews et al. as well. "Only Turks differ by additional Central Asian admixture at variable degrees and it itself a mix of WEst Asian and East Asian ancestry meanwhile West Anatolia may Also be more influenced by the Aegean world in comparison ~ The Armenians speak an IndoEuropean language much Like Pré Turkic Anatolians spoke IE languages so they are a good reference to look at for now." Indeed, but what's interesting is that Turks are actually more Western European Hunter-Gatherer (WHG) than Armenians are. 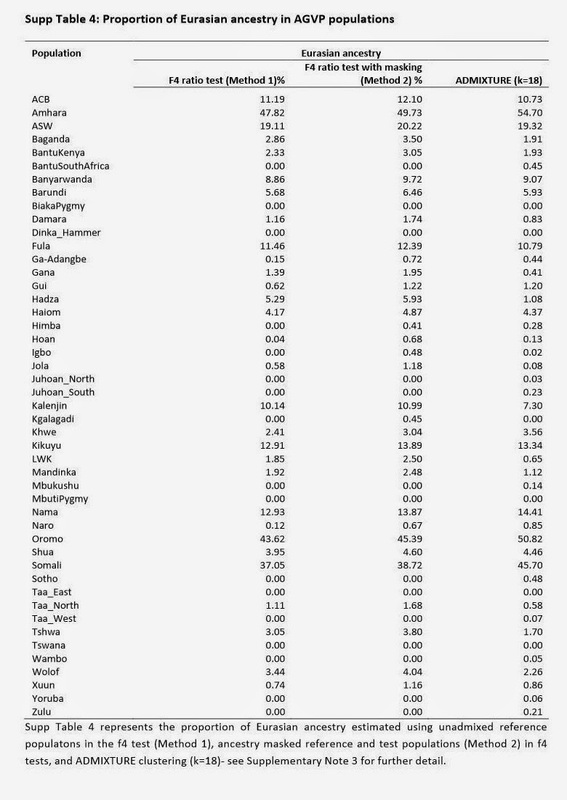 Armenians' WHG levels are comparable to those of Georgians, Azeris, Assyrians and Iraqi Jews/ they're quite low (<5%). While Turks border on being 10% WHG. "basically if I understood much your article Anatolians/Armenian /Caucasians are basically Early Neolithic West Asian farmers mixed with ANE." which is more profuse in Turks and "Northern Caucasians" like Ossetians, Chechens etc. whom I do believe have real Western European Hunter-Gatherer admixture given their geographic placement. Nevertheless, the Caucasus from what I recall is the peak of ANE in West Eurasia albeit Armenians are at the lower threshold when compared to other Caucasians' ANE levels as you can see in that chart I shared. All in all; I say this all too often but we'll know more and be more sure about every little piece of data when we have ancient samples from the region(s) (Anatolia and the Caucasus both).